Retired U.S. Navy Admiral and former island resident Stuart Platt spent 31-years in the military where he led a major reform of the Navy's procurement system. Platt also served as deputy commander of the Naval Sea Systems Command, was a presidential appointee to the Board of Governors of the US Merchant Marine Academy, and recently was inducted into the Cold War Leadership Hall of Fame. 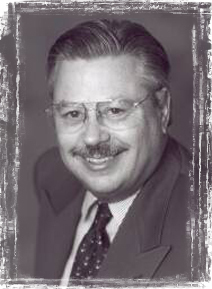 Following his retirement Platt had a successful career in the private sector. 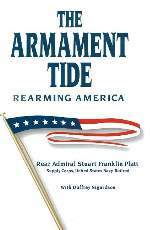 He also co-authored his first book, The Armament Tide (2002), in which he takes a look at the business aspects of arming the US military. The book was a 2003 finalist for the Samuel Eliot Morison Award for Naval Literature. In his second book, Letters From the Front Lines (2006), Platt looks at the human experience of war. The volume features correspondence and day-to-day experiences of Americans at war in Iraq and Afghanistan. A reader describes the book as follows: "Letters from the Front Lines is a compilation of war letters, e-mails, and blogs from soldiers, sailors, marines, and even one civilian mom. 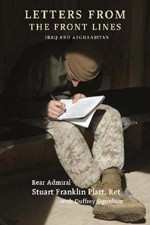 Although there are other letter-type books, this one is valuable because each chapter is comprised of one person's letters, e-mails, or blogs from one person's perspective of the war and the events that play out in a combat zone. The book is neither pro nor anti-war; it's simply what it is."